With an 8hr+ drive to start an 11-day desert trip, I stopped off near Cajon Pass to give the van a rest and my legs some exercise. The summit of interest was Ralston Peak with more than 850ft of prominence, the others were just bonuses to round out the day until sunset. Neither outing was particularly difficult nor tricky. There are various TRs one can peruse on PB, describing brush and steep slopes via approaches from the south. I found the latter but little of the former as the slopes have been burned off in the past few years, though the vegetation is nicely making a comeback. I simply went up a slope from the west off Lone Pine Canyon Rd that makes for a short but steep hike, about 900ft in less than 3/4mi. 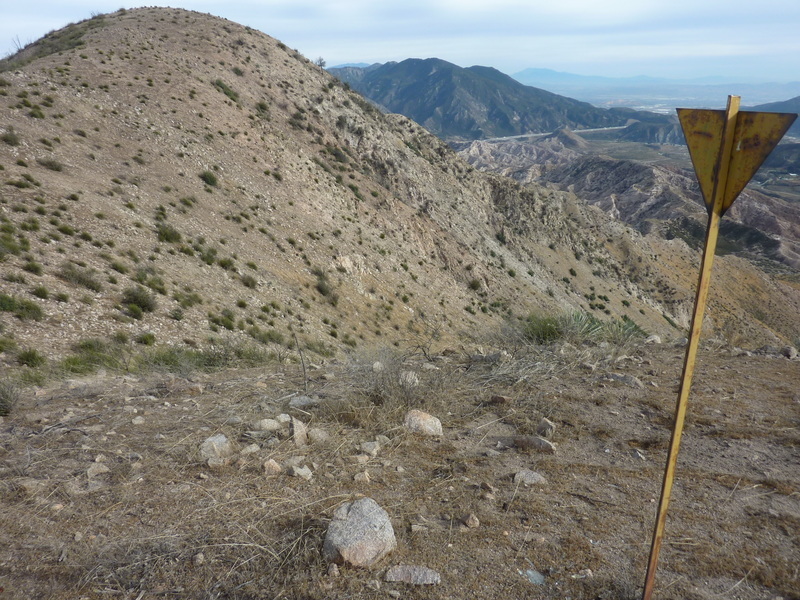 The peak is located at the eastern end of the the San Gabriel Mountains, overlooking the San Andreas Fault to the south, Cajon Pass to the north, Cajon Canyon and Interstate 15 to the east. The initial slope was moderately steep with good footing, growing steeper and sandier in the middle section before easing off for the final easy hike along the summit ridgeline. I found the summit register in disarray, the notebook lying on the ground, pencils and nested cans scattered about. I collected these back together before leaving them in a more tidy arrangement. An older set of cans held the charred remains of a few loose pages, brittle and unreadable - this one I carried down with me intending to dispose of it, but it flew out of my hand into parts unknown when I slipped onto my rear during the descent. Oops.